Have you ever wanted to own a real piece of rock history? Not just a picture or poster of your beloved icon, that anyone, anywhere can buy, but something rare, valuable and beautiful. Something that only 49 other people in the world can possibly own. Ever. A piece of art, that just like any great piece of art, is ever likely to increase in value, as well as adorn your wall. If this idea interests you, take a look at some of the breathtaking images from legendary rock photographer, Phil Nicholls. Phil was part of a small, but elite group of professional photographers who have captured images of the world's most famous rock stars. 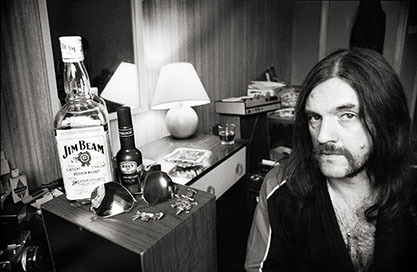 With a career spanning 30 years, Phil has a back catalogue of images ranging from Lemmy Kilmister at his flat in 1987, to 20-year old Amy Winehouse back stage at the Louisiana in Bristol in 2003, to up-and-coming superstars like rock band Erica, Sarah McQuaid and Stephanie Kirkham in 2016.